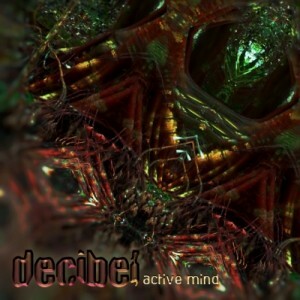 The Spanish label Random Records presents Active Mind, the third album from Australian producer Decibel, who donated this album to benefit Indigenous S.O.S. This project supports the Cofán Survival Fund, which is dedicated to the survival of the Cofán indigenous culture and its Amazonian rainforest environment in Ecuador. Originally released in 2013, this album consists of nine high-quality full-on and morning psytrance tunes plus a downtempo intro inspired by the shamanic world. This is a journey of atmospheric soundscapes and driving melodic hooks carefully crafted for the dance floor and the imagination. Music, mastering, and artwork by Mat Cristiano. MP3 Download | FLAC Download | WAV Download · Download count: 7,437. Re-released under a Creative Commons license for noncommercial usage. Had this for awhile already, this guy knows how to produce / master a bassline! Clean, clear morning trance tracks with an intense beat, unique intensity and distinct flavor. Good for meditation and some blood pumping rhythm. Good stuff, here. Good work, Decibel and Basilisk!! This artist it’s like the prototype of the genre! A wonderful demonstration of how music should sound, but is beyond the audition…it is the most wanted PERFECT!